President Vladimir Putin has ordered 755 US diplomatic staff to leave Russia, in retaliation for new US sanctions against Moscow. The decision to expel staff was made on July 29 , but President Putin has now confirmed the number who must go by September 1. This is thought to be the largest expulsion of diplomats from any country in modern history. The number includes Russian employees of the US diplomatic missions across Russia. Staff in the embassy in Moscow as well as the consulates in Ekaterinburg, Vladivostok and St. Petersburg are affected. Vladimir Putin did strike a conciliatory note, saying he did not want to impose more measures, but also said he could not see ties changing “anytime soon”. The Russian president also noted the creation of a de-escalation zone in southern Syria as an example of a concrete result of working together. 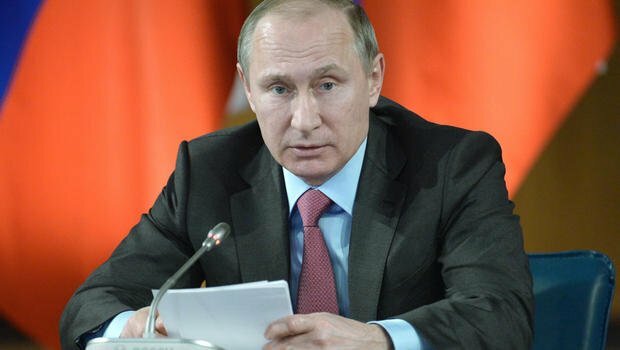 However, in terms of general relations, Vladimir Putin added: “We have waited long enough, hoping that the situation would perhaps change for the better. The new US sanctions on Russia were overwhelmingly approved by both houses of Congress despite objections from the White House. US intelligence agencies believe Russia tried to sway the election in favor of President Donald Trump and now there are several investigations looking into whether anyone from his campaign helped. Russia has always denied interfering and Donald Trump insists there was no collusion.